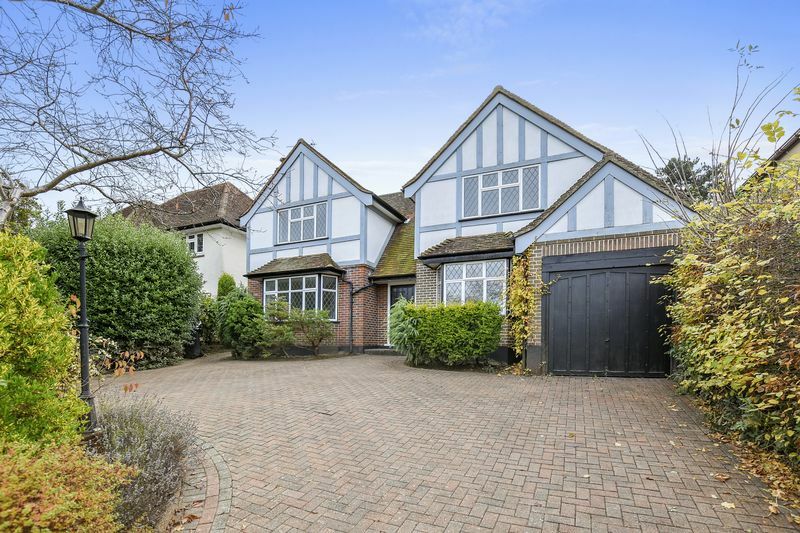 This imposing double fronted detached home occupies a wide plot with carriage driveway on a well-regarded tree lined road. 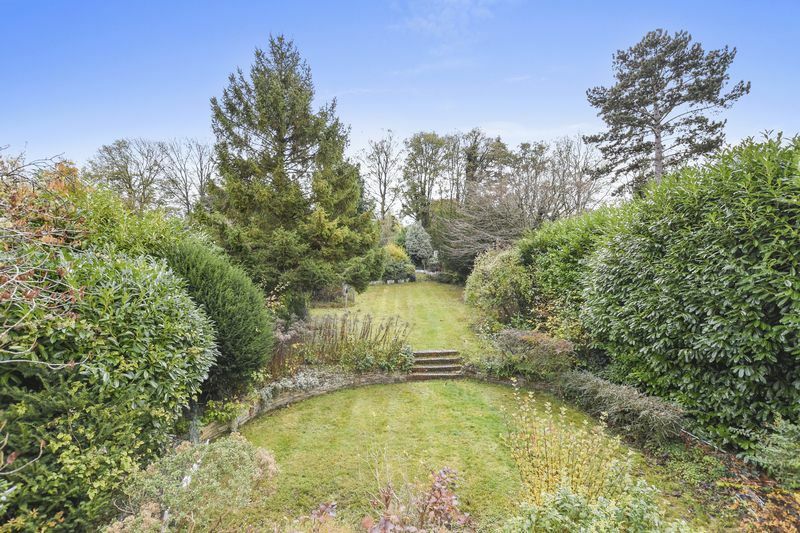 Benefiting from a large South facing lawned garden of approx 180ft in length. 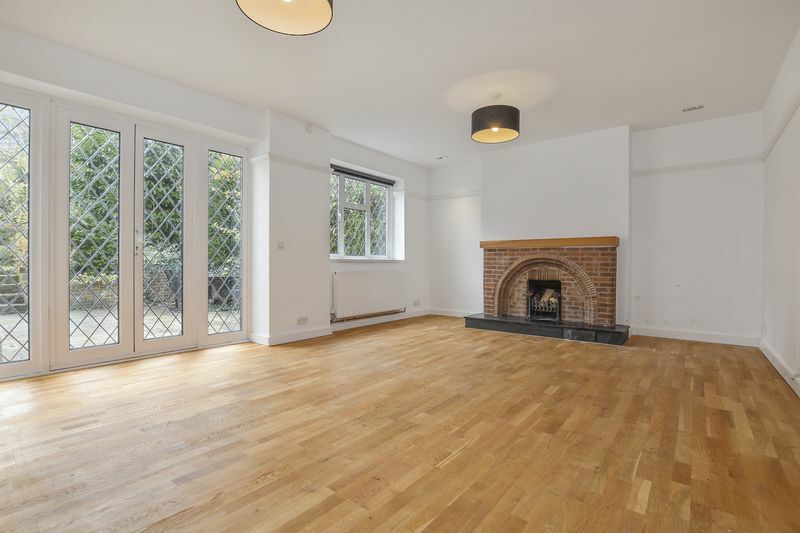 Central entrance hall with cloakroom and utility room opening onto three well-proportioned reception rooms and 20ft by 15ft kitchen/breakfast room projecting into the garden. The first floor provides five bedrooms and three bathrooms, including the master bedroom with two walk in wardrobes and en-suite shower. An integral garage and the driveway provide ample off-street parking. 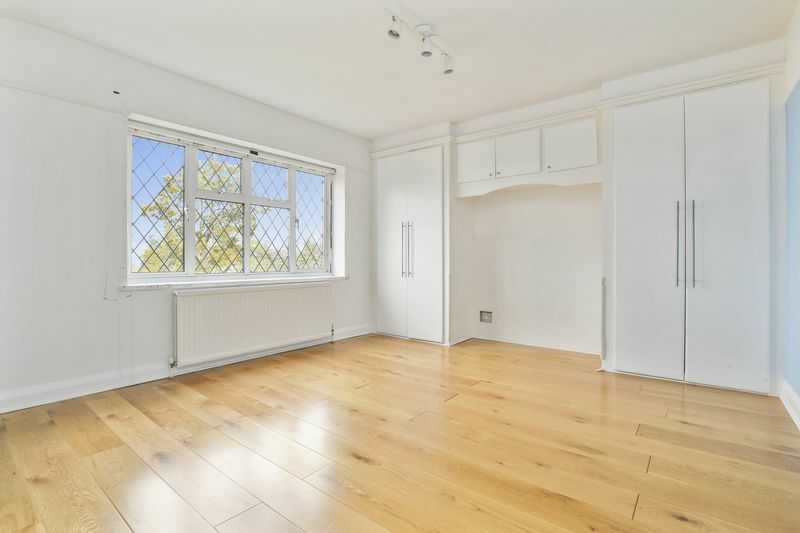 Located on the Nork side of Banstead, close to Epsom Downs, with its raised position providing excellent views towards London. Available with no onward chain. 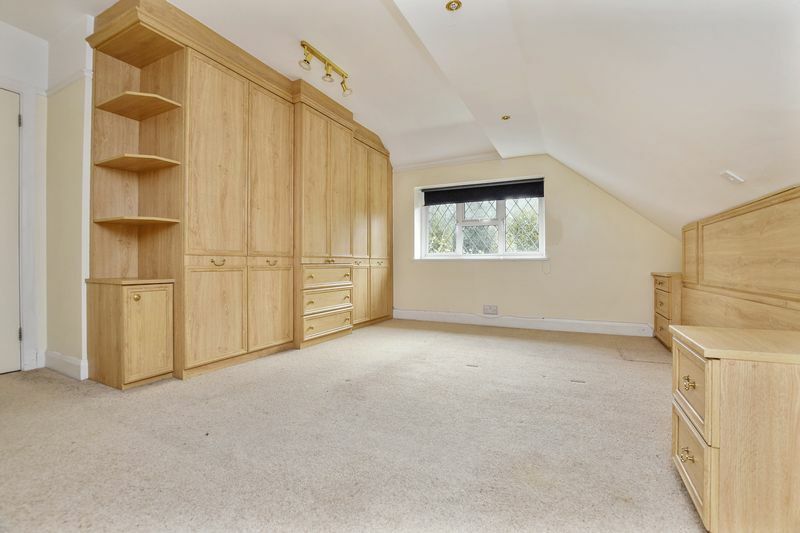 Parquet wood block flooring, deep cloaks cupboard, bannister staircase to the first floor. 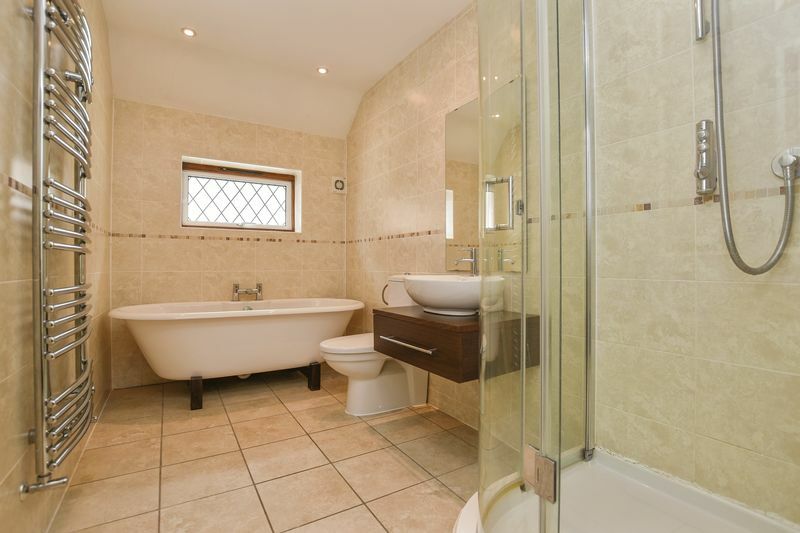 Double glazed window, modern white suite comprising low level W.C. Wash hand basin with cabinet over. Tiled floor. Double glazed bay window to front with radiator under,picture rail, coved ceiling. 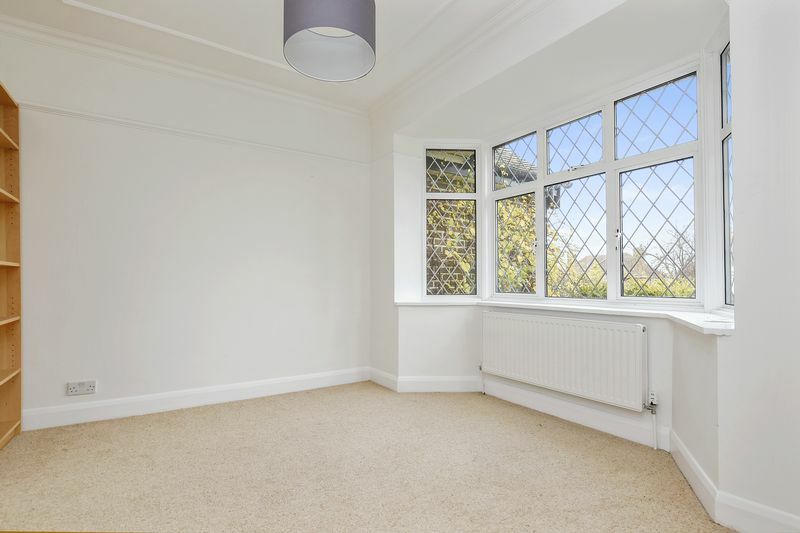 Double glazed French windows and picture windows onto rear garden, further double glazed window overlooking garden with radiator under. Second radiator in cabinet. Chimney breast with redbrick "Claygate' fireplace on slate hearth. Picture Rail. Double glazed bay window to front with radiator under. 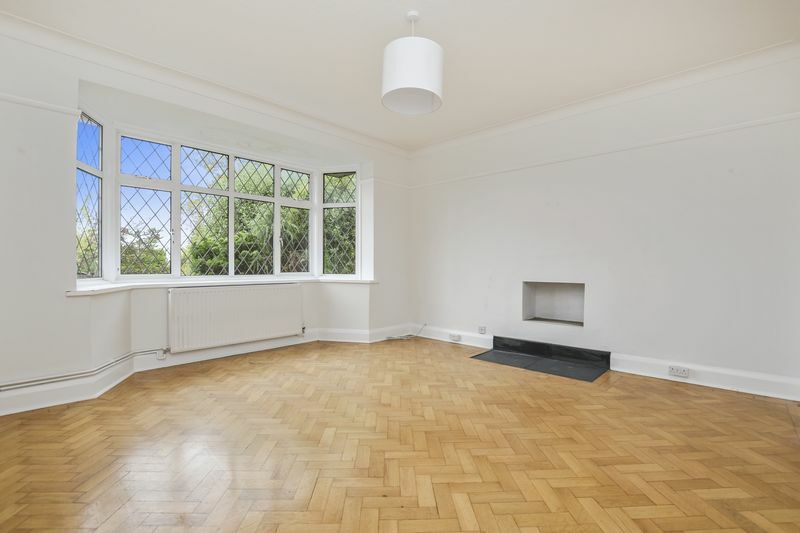 Wood block parquet flooring, picture rail, coved ceiling. Double glazed door to side access. Wall mounted Worcester Bosch gas fired boiler, plumbing for washing machine, work surfaces to two sides with inset single drainer stainless steel sink unit. Storage cupboard, radiator, tiled floor. Double glazed window overlooking rear patio area. 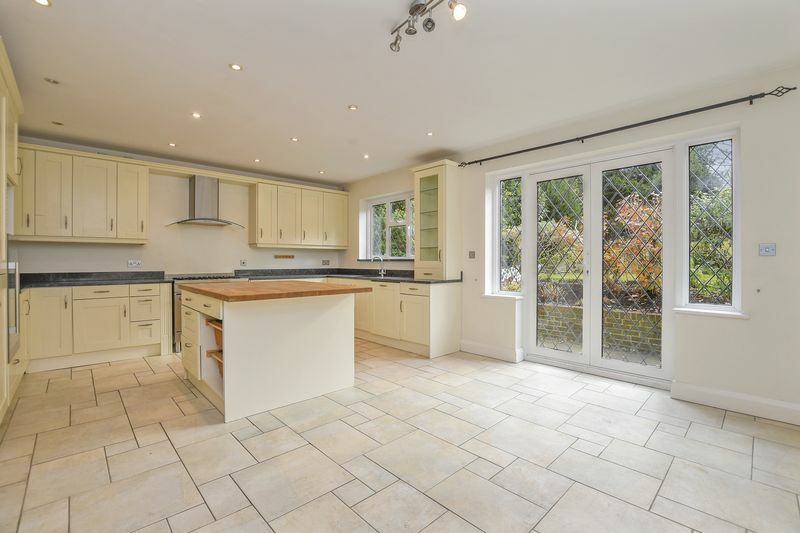 Three door range of built in cupboards. Radiator, airing cupboard housing lagged copper cylinder. Double glazed opaque window. Modern white comprising Shower cubicle with sliding glazed door, low level W.C. Wash hand basin with cabinet over. Tiled walls and floor. Heated towel rail. Velux window. White suite comprising Shower cubicle, wash hand basin with cupboard under, low level W.C. Tiled walls and floor. Double glazed window to front with radiator under, Two double door wardrobes and high level storage cupboards. Wood floor. Double Glazed windows to front. 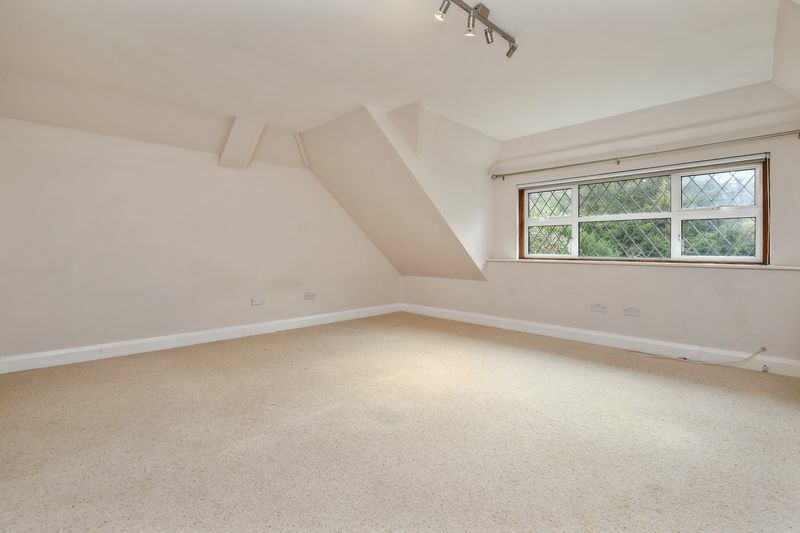 Radiator, access to loft. Double glazed window to garden, radiator. Double glazed opaque window. Feature roll top double ended bath on feet. Shower cubicle with sliding glazed door, 'bowl' wash hand basin with cupboard under. Low level W.C. 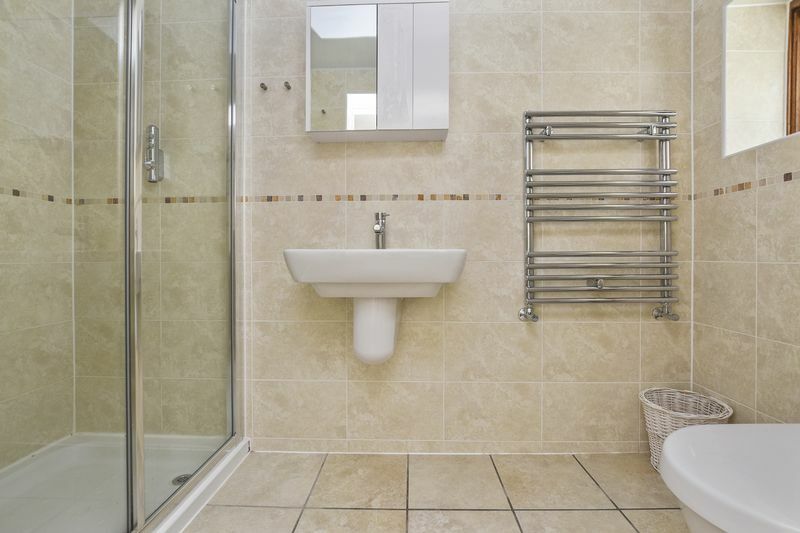 Heated towel rail, tiled walls and floor. 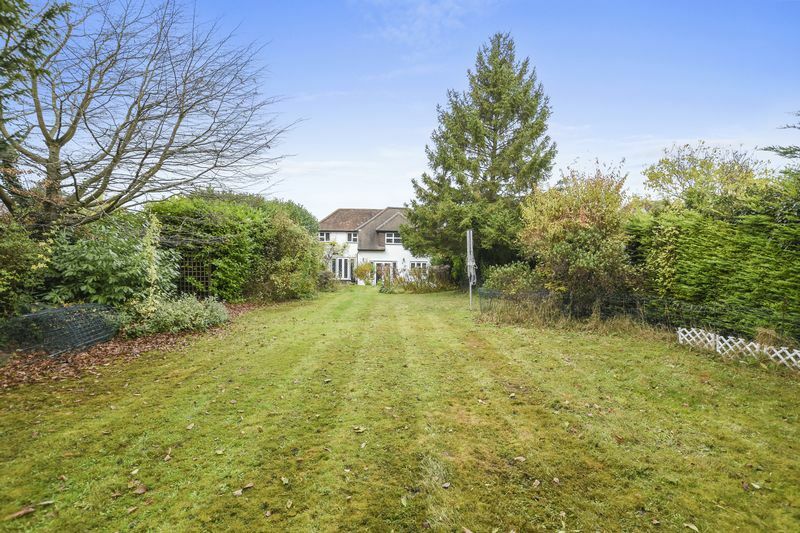 Wide plot with paved carriage driveway. Central shrub bed with victorian style lamp post. Further mature shrub borders. South East Facing. A paved shielded patio provides steps up to the main lawn area with mature shrubs and trees. Garden store room, greenhouse, garden shed.